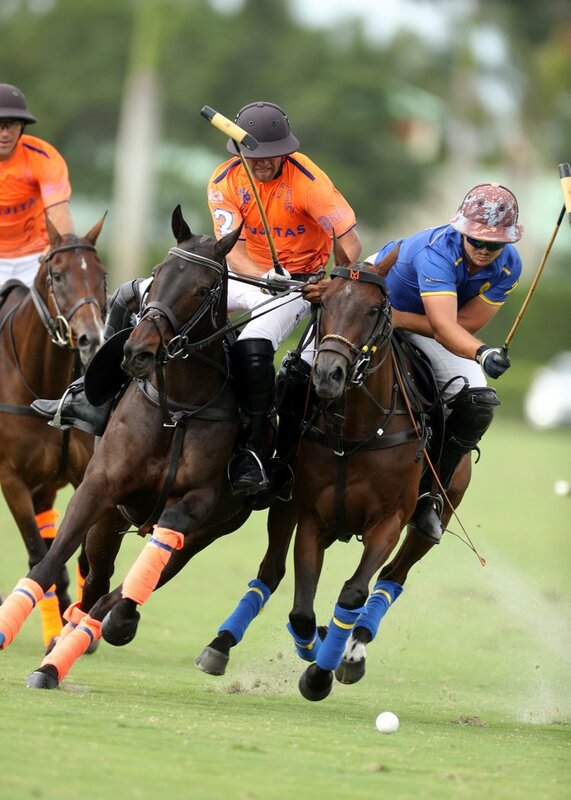 The quarter-finalists were determined in the 2019 CaptiveOne U.S. Open Polo Championship® at the International Polo Club Palm Beach, as bracket play concluded with the final two games in Bracket III. 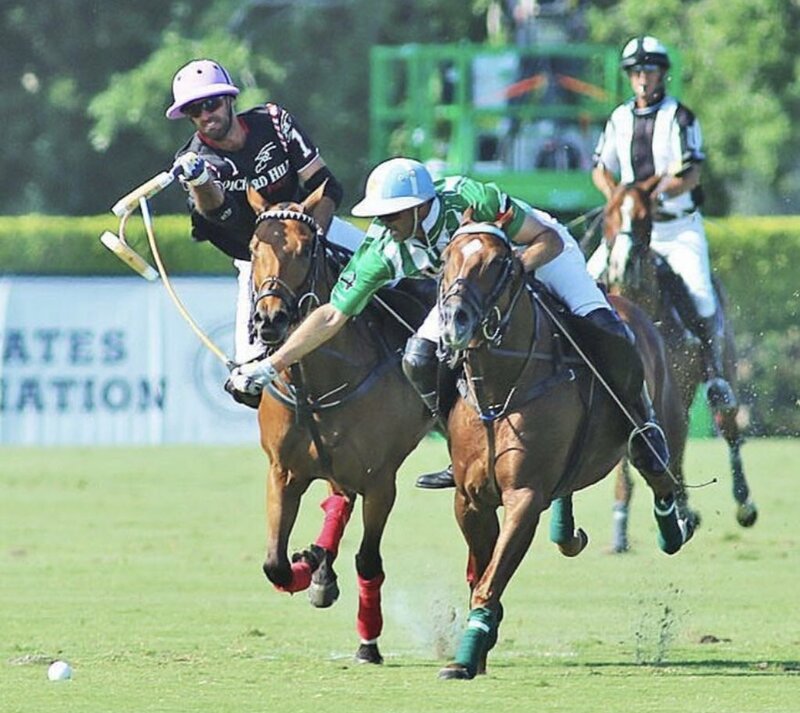 Daily Racing Form claimed the exciting 10-9 overtime victory over Old Hickory Bourbon, while Las Monjitas defeated Park Place 12-9, resulting in the day’s two victors qualifying for the quarter-finals. The opening game of the day produced a thrilling comeback from Old Hickory Bourbon after trailing throughout the entire game against Daily Racing Form. 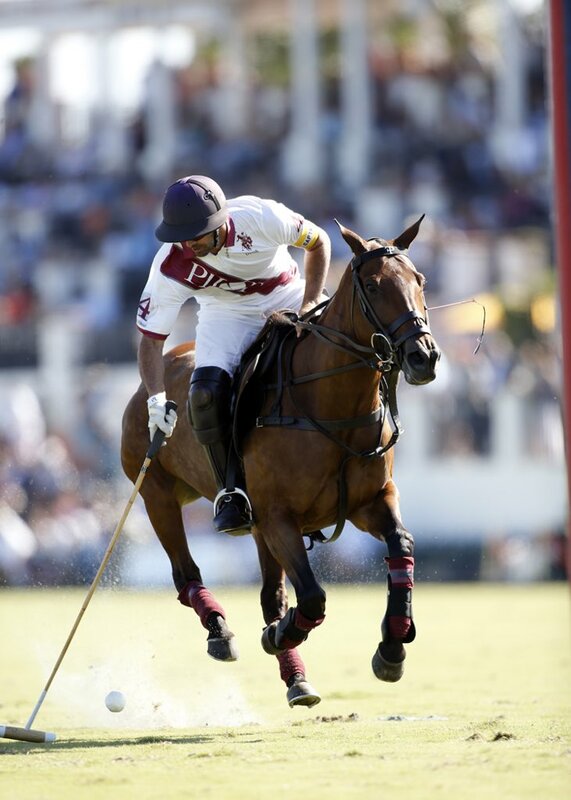 Entering the game with all four players averaging between 2.0 and 3.0 goals per game in the Gauntlet of Polo™, Daily Racing Form continued their team-based attack, using accurate passes to take a 3-0 lead after the opening chukka, with Jared Zenni converting two penalty attempts. After a scoreless first chukker, Miguel Novillo Astrada contributed to Old Hickory finding the scoresheet with two assists, but Daily Racing Form maintained their three-goal lead after two field goals from Santiago Cernadas. Foul trouble for Daily Racing Form provided an opening for Old Hickory Bourbon to fight their way back in the game, receiving a penalty attempt in each of the final three chukkas, but a strong 3-2 fifth chukka in favour of Daily Racing Form kept their lead at three, with Old Hickory Bourbon’s hopes fading. Utilizing a strong passing attack of their own, Old Hickory Bourbon scored three unanswered goals in quick succession, sending the game into overtime. Looking to build on the momentum of their comeback, Old Hickory Bourbon attempted the first shot of overtime, but missed the mark, allowing Daily Racing Form to race downfield and score the winning goal off the mallet of Geronimo Obregon to claim the 10-9 victory. The final game of bracket play featured a must-win game for Park Place, but they ran into a tough Las Monjitas team that produced a strong performance from start to finish, led by the efforts of Hilario Ulloa in a four goal, four assist game. Executing a high-pressure style of play, Las Monjitas frustrated the Park Place attack without fouling to hold the advantage in open play. 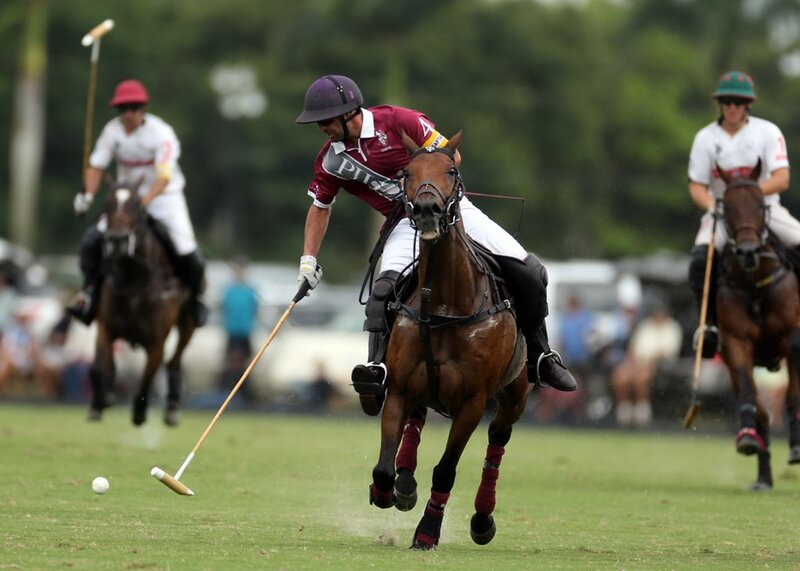 Las Monjitas began the game with a dominant opening chukker, converting all three shots from the field and receiving a Penalty 1 to hold a 4-1 lead. 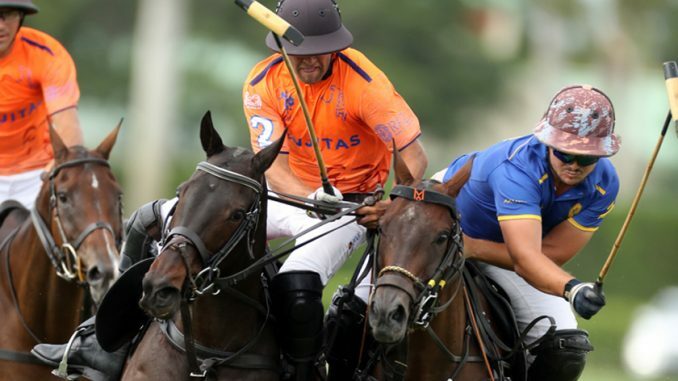 The aggressive defence of Las Monjitas limited Park Place to just one field goal in the opening two chukkas until Nico Pieres broke through for a goal and two assists in the third chukker to reduce the deficit to two. A critical component of Las Monjitas maintaining their lead was keeping Park Place off the penalty line, which they effectively did by committing zero fouls over the final three chukkas. Park Place pushed to tie the score to begin the second half, shooting at goal seven times, but converted just two, allowing Las Monjitas to regain their three-goal lead with Ulloa and Francisco Elizalde working well together on both sides of the ball. The duo converted a Penalty 4 and scored on the following throw-in to begin the sixth chukker, extending the lead to five and sealing the 12-9 victory. 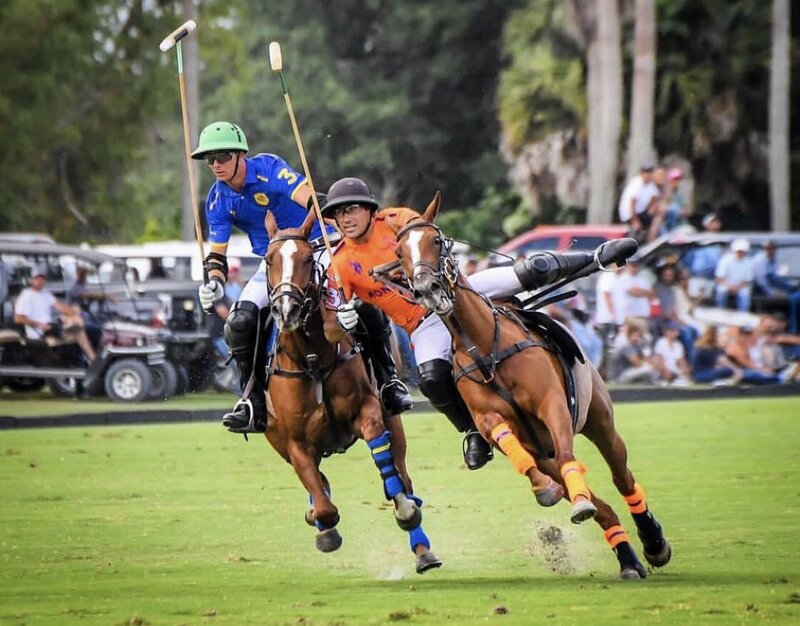 With the win, Las Monjitas improves to 3-0, claiming the top seed in Bracket III, while Daily Racing Form’s win qualified them for the quarter-finals on Saturday and Sunday at the International Polo Club Palm Beach.